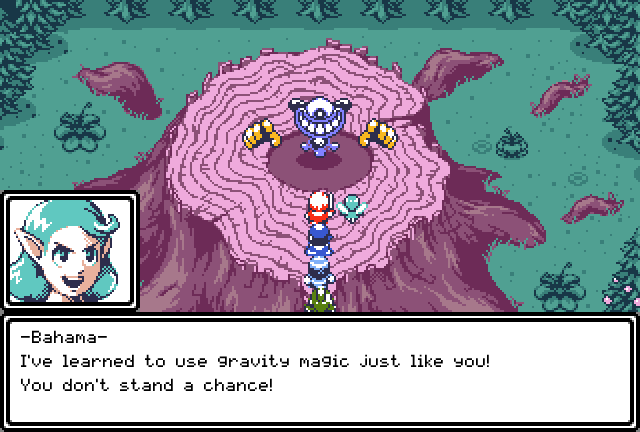 Unknown World is a retro-styled RPG that takes influence from all sorts of games in the genre, both new and old, and brings them into its own unique experience. Build your party with a familiar class system, where you can choose among seven diverse classes, each with their own abilities on and off the battlefield. What sets Unknown World apart? Unknown World's main draw is how the make up of your party will affect your interactions with the world. Perhaps you can use your Medic to heal someone who is sick or a Soldier clad in heavy armour to clear out some thorny bushes. 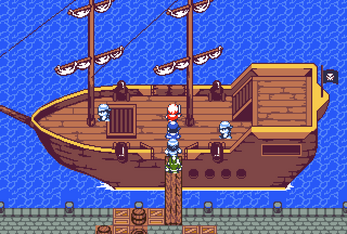 Maybe you can do some special trades with your Merchant, or join a crew of Pirates. This demo gives just a taste of the different possibilities you can take advantage of. Open "Unknown World Demo.zip", extract to whichever folder you wish. Copy and paste "Pixelmix" to "Control Panel\Appearance and Personalization\Fonts" so you have the correct font for the game to use. Want to support Unknown World? Follow me on Twitter for updates and/or pledge to my Patreon. Any little bit helps! Want to give feedback on the demo? Take this survey and give me your thoughts! 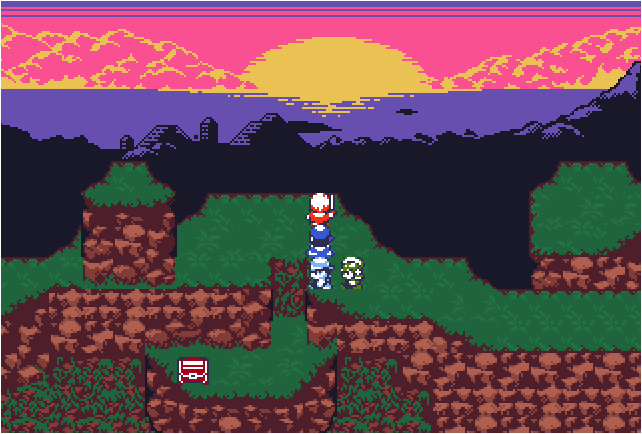 I want to make Unknown World as good as possible, so be super honest, even if it's negative. 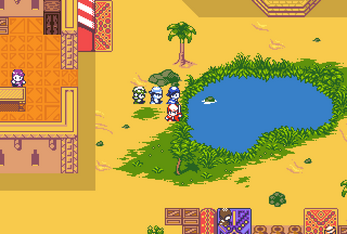 This early version of the demo uses music from other games as placeholders. 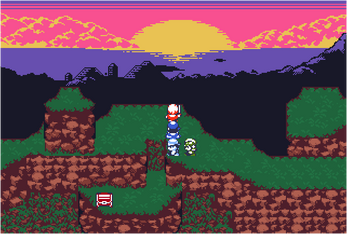 Original compositions will be made and present in later versions of the demo and full game. All songs belong to their respective owners. Thank you for choosing to play Unknown World! Installation is simple. 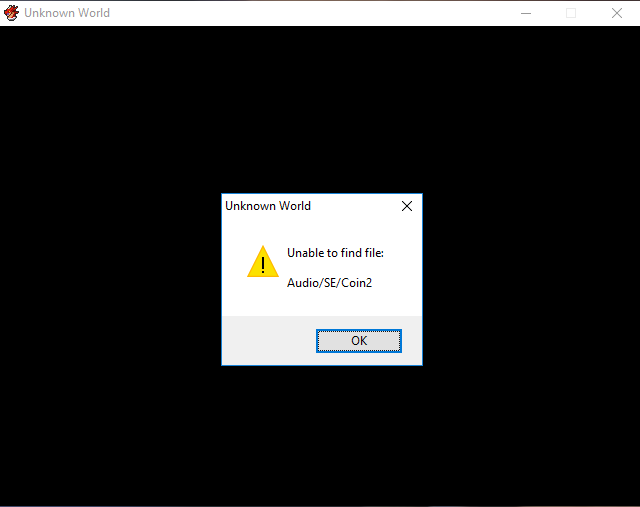 Click "Unknown World Demo.exe" to extract and then click "game.exe" to play! Hello, I've been wanting to play this game for quite a while but can't due to multiple reasons. It first asked me for RPG Maker VX RTP and after tweaking the .ini file I could bypass that issue, however it asks for some font which ISN'T the one that comes with the package, some VL gothic or something. So i downloaded the new update but there doesn't seem to be anything new at all? I went through the game like 3 times each with a fresh install and there was no new content that i could find anywhere and each time it ended after fighting the duo. I finished the demo multiple times using different party compositions and some things of note are as follows. - I found the mage class a little underwhelming and not nearly as useful as another physical attacker because the costs of spells are, i wouldn't say high, but combined with the low MP pool I found it foolish to ever use spells when I could basic attack, meaning Burn, Shock and Seal never really saw any use. 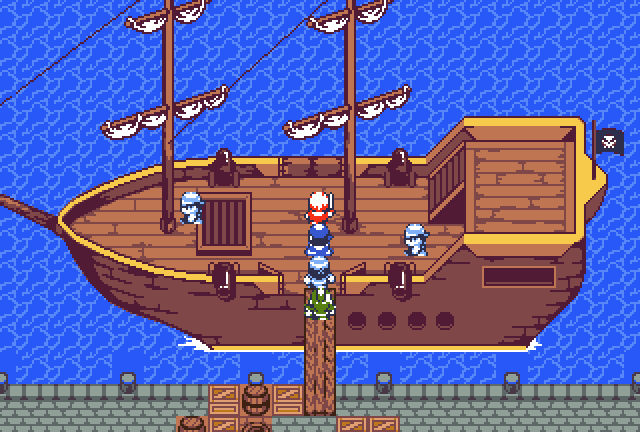 - Tried the Merchant class, I'm thinking maybe the mechanics of it just don't shine too well in the demo perhaps, but I definitely found it pointless to take Merchant over Pirate, Soldier, Ranger or Dancer. - I feel there is a sudden spike of difficulty from starting to going to the first boss, the demon duo. I had to grind for a few levels, up to 5 seemed appropriate and then gear myself with the best gear offered to be sure I didn't get one hit by them. I think there should be maybe a side quest or something in-between just to give that little boost because grinding isn't fun normally and being required to do it is even less fun. Not saying that there shouldn't be a spike from trash mobs to bosses, but there is nothing in-between that but forced/necessary grinding. - The demo doesn't really present any moments where you actively want to use the classes skills over just auto attacking. I will say that I of course did use skills, mainly the Soldiers first two offensive abilities and I dabbled with debuffs, I don't think Medic counts for this point because its the healer class and that's just what it does so you don't have to choose between a basic attack and a special attack. - I found fighting the Pawns a little irritating, not really difficult though, because they'd constantly inflict burn which has no curable ability or item from what I've seen and this follows into my next point which is..
- Healing, I think the Medic should be able to heal outside of combat with its SP so that you don't have to risk having your characters die and having to return to a town to spend a chunk of cash and waste time when trying to heal them during a battle. If you had a different system I think this would be overpowered in some situations, but since it takes a 1/4 to 3/4 of the Medics SP to heal i think it sounds reasonable. - Your main selling point of classes interacting with dialogue and choices is enjoyable and it adds some replay-ability, but I don't believe it shines too well in the demo as the only NPC i found to have any interaction with this system is the Knight in Esterk? I forgot the spelling. Maybe I didn't look around hard enough, i don't know. - I didn't find any new bugs since your latest update, but i'm sure there is a lot of stuff still needing to be interacted with that could present bugs as I didn't buy any status curing items and some other specific items like armor or weapons so they may have problems I didn't discover. - A very minor thing, but it seems the Knife and Mallet can both be wielded by the same classes and the Knife is 10 cheaper so that seems to make the Mallet a little irrelevant, maybe add like a a damage point or two to make it worth the increased cost. - I'm not exactly sure what kind of character the Hero is supposed to be, he gets Burn and First Aid so he seems like a jack of all trades, is there a way later on to make him a certain class or will he just learn random classes abilities? That is about all I can think of at this moment. Hope some of it helps. I believe this bug was caused when i attacked an enemy while the Hero wielded the Cherry Bow, it moved so fast I didn't have a chance to confirm that, but i'm quite positive that is what happened. Attacking an enemy with the Slingshot also causes the same crashing bug. Got this when using a warping feather back to Haragon. Assuming it'll be the same for any place I try to teleport to. New bug concerning the same priest in Haragon. I also noticed that using Poison Treatment is targeting the enemy and not the player's party. The fresh install fixed the priest issue. Interacting with the left most chest in the armoury causes this crash. EDIT: Ok i did a fresh install, something must have been colliding. Chests work fine now. Found a bug with saving right away. 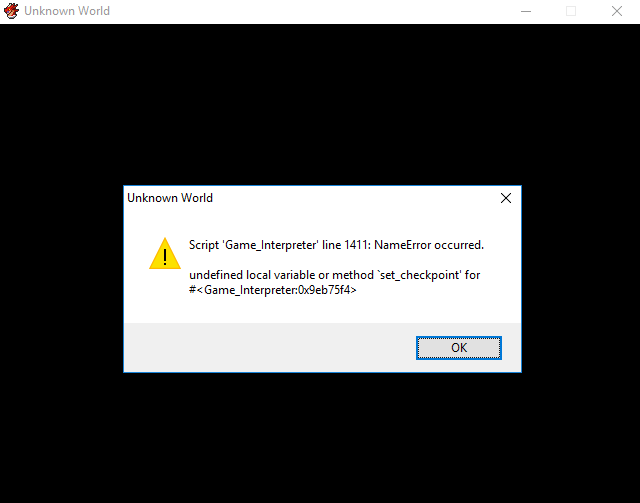 Game seems to still save, but it crashes it during the process. Found another crash bug when interacting with the priest npc in Haragon. 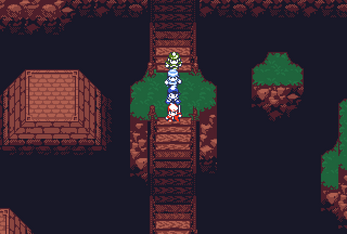 The bug with the priest in Haragon is still there, if you meant that was included with "everything". Yup, same as the image.